From the first days of the St. Luke Foundation for Haiti, as Father Rick and his team began working on the streets of Cité Soleil, there were two essential cornerstones for progress. First, the vision, leadership and tenacity of our Haitian leadership. And second, the generosity, solidarity and compassion of our international partners. Sunday June 19th marked a watershed moment for our programs as we saw the first ever graduating class of the Academy for Peace and Justice walk the stage and step into the next phase of their lives. This truly special day was made possible by huge sacrifice and incredible work from our partners at APJ, from our staff on the ground in Haiti, and from the over 2,600 students who are proud to call the Academy their school. Six years ago, in the aftermath of the devastating earthquake that killed hundreds of thousands and left 1.5 million people living in tents, Paul Haggis, founder of Artists for Peace and Justice, asked Father Rick a simple and humble question. "Let's build a high school together, whose mission is to provide a first class education to the most needy of Haiti." Thanks to the momentous and continuous support of the APJ team, we now have a school with 2,600 students on full scholarships. Most of these students come to the APJ School from one of our 30 primary schools in the country, many walking from long distances and through serious social obstacles to arrive at school each morning ready to study. 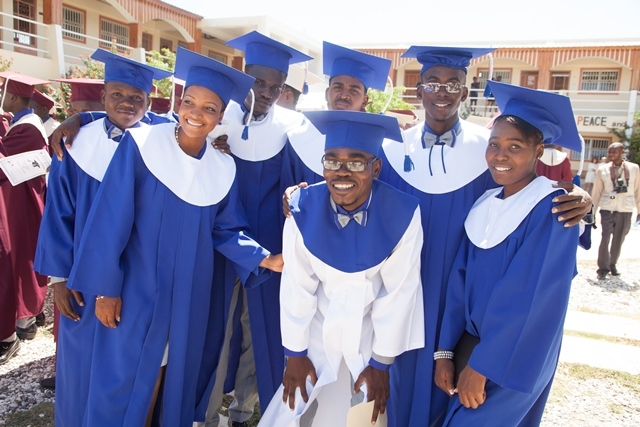 On the weekend of the 19th, friends and supporters from around the world who have made our work possible came to Haiti to celebrate the first ever graduation! Special and honored guests included Ben Stiller, Christine Taylor, Jimmy Jean- Louis, Susan Sarandon, Donna Karan, Maria Bello and our friends and partners at Bovet and Vhernier. Along with Ms. Sarandon as Godmother, Pascal Raffy served as the Godfather for the graduation. The morning began with a prayer from Father Rick and a ribbon cutting on the most recent section of the school to complete construction that being the building dedicated to 12th grade (called Philo, in Haiti). Later in the day, as the ceremony continued, we were honored to have world renowned Haitian artist and musician Belo perform. The activities that followed included songs and poems by graduates, a talent show, a speech from the class president and school director, dances, the graduation song, and of course finally the throwing of graduation caps! APJ's own release read, "This school rose from the rubble and now its first graduates are emerging as young leaders who want to make a better future for their country. Congratulations, Class of 2016! We can't wait to see where you go from here!" "We’re giving a really important example to the world because we’re doing the opposite to giving in to a history that seems so impossible and so futile or giving in to fear or ideas of isolation. I think there is a big symbolism that is beyond the graduation of these students, as great as it is. At this moment of history that we’re all suffering, I think that it is really a beautiful, beautiful symbolic act that we’re doing. We’re standing strong and standing proud […] and I think that we see an upward wave for everybody and we want to help everybody to get there." 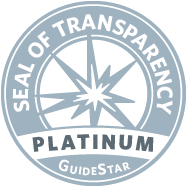 To the team at Artists for Peace and Justice, we send our most sincere thanks for all of your hard work, dedication and deep friendship. We look forward to many graduations to come and we are honored to count you as partners. To our supporters and friends around the world, we hope you can join us next year! To our staff who makes it all happen every day, thank you for the heart you put into our school every day. And finally to our students, please know that we are all committed to continuing to open the doors to the future, and we know with full confidence that you will continue to walk through them with great courage, pride, and grace. Another graduate beams with pride. 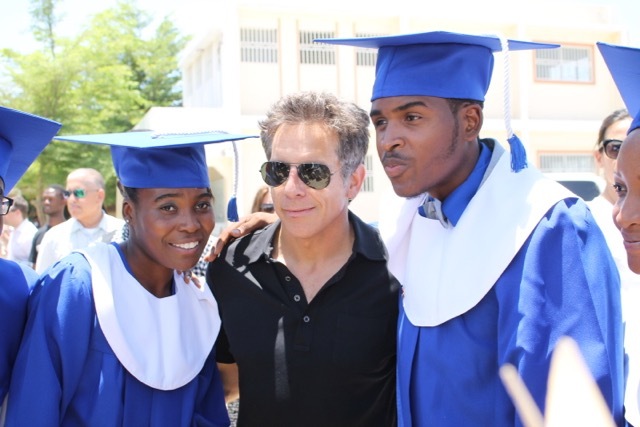 Ben Stiller, a supporter of the Academy since the first block was laid in 2010, poses with graduates. World-renowned Haitian singer Belo takes the stage to great applause and excitement from our students. Graduation Godparents Susan Sarandon and Pascal Raffy share inspired words and congratulations with the graduates. Father Rick shares words with the graduating class and supporters. A group of graduates, friends, and future leaders. Here's to you, Class of 2016!